The umami taste of fish sauce is quite remarkable. It improves the acceptability of all savory foods. At low levels it enhances component flavors, reduces sourness and bitterness, and increases salty and sweet tastes. At moderate levels it makes food taste more complex and better balanced with improved mouth feel. At higher usage levels the fermented flavors become apparent. As a general rule, if you notice these flavors the usage level is too high. Acidic components like lemon juice, lime juice and vinegar mask fermented flavors. Typically, fish sauce comprises 5-10% of a wet sauce or marinara. 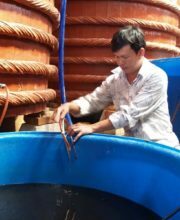 Traditional salt-curing methods are used to make fish sauce. 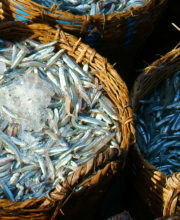 Wild, white anchovies (Stolephorus variety) are caught in nets in the Gulf of Thailand. The fish are salted on the boat and placed in large teak and mahogany drums to cure at ambient temperatures for a year. The use of wild fish and sea salt without additives make this an organic product. After the cure is complete the protein enriched liquid is drained from the vat, filtered and is ready for consumption. The protein content in fish sauce is measured in units called “degrees”. 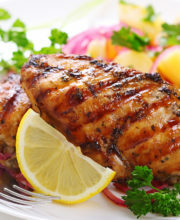 During the cure, a wide variety of amino acids are released into the sauce and its protein content increases over time. 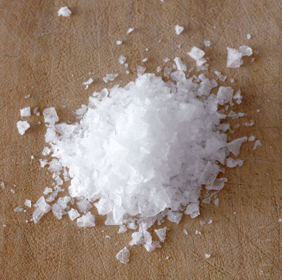 These naturally occurring amino acids (especially glutamate) are responsible for the umami taste in fish sauce. 1 Degree unit = 1 gram of total nitrogen per liter of product. 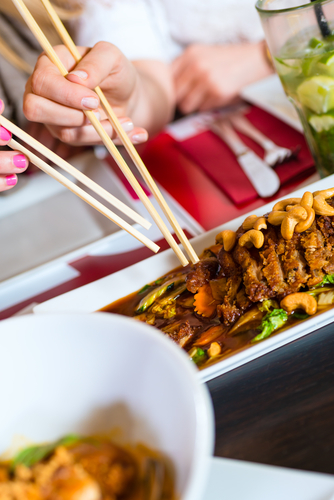 Since most of the nitrogen comes from protein, the degree unit represents the protein concentration in the sauce. The protein in fish sauce helps facilitate browning in fried or grilled foods. Certified savory fish sauce is available in 20 degree varities. 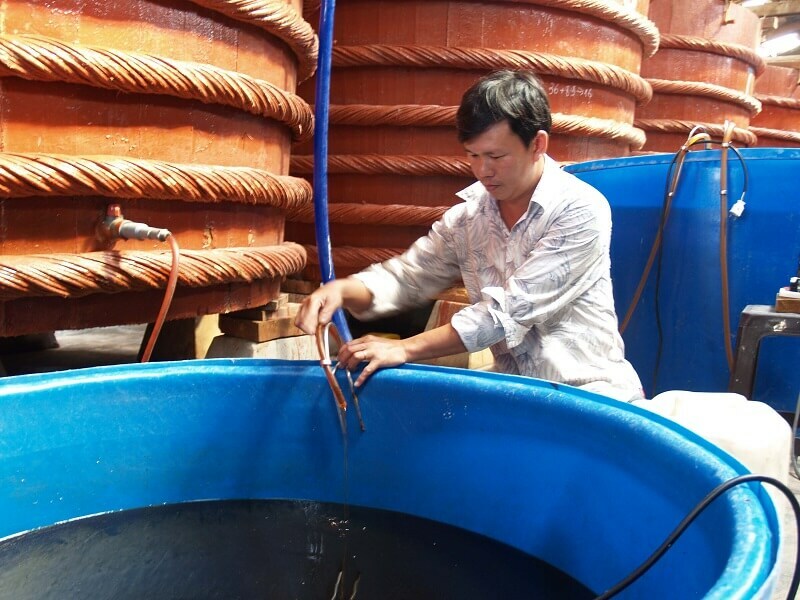 High salt content (20-24%) and low water activity (<0.85) are primary methods of preservation for fish sauce. 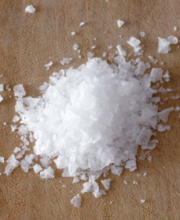 Occasionally a small amount of salt crystals will precipitate to the bottom of the container. This is natural and will not affect the quality of the sauce. The umami components in fish sauce make salt taste “saltier” so you need less actual salt to reach the right salt taste level. Southeast Asian style dipping sauce and marinade recipes typically call for around 10% fish sauce. 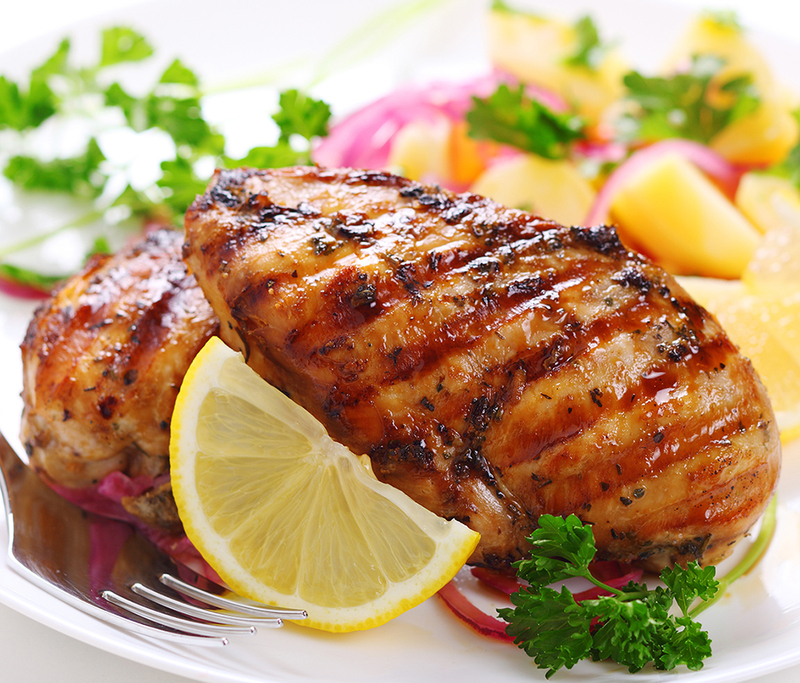 The additional protein also improves browning on the grill or in the pan. The volatile fermented flavors in fish sauce tend to flash off in these high temperature applications. Certified Savory fish sauce powder is perfect for dry seasoning blends and marinade rubs. It can also be used as an umami enhancer in sensitive wet applications without imparting characteristic fish sauce flavor and odor.